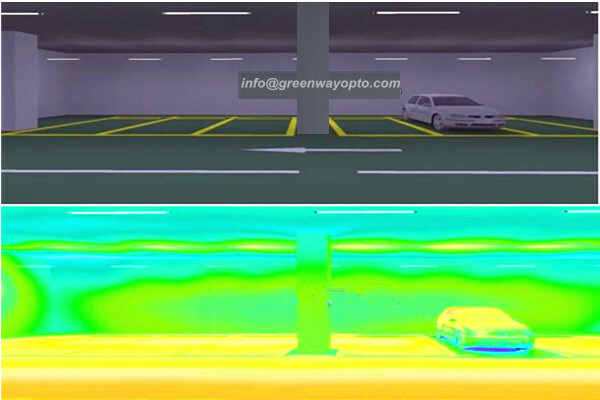 How to design the underground parking lot lighting ? 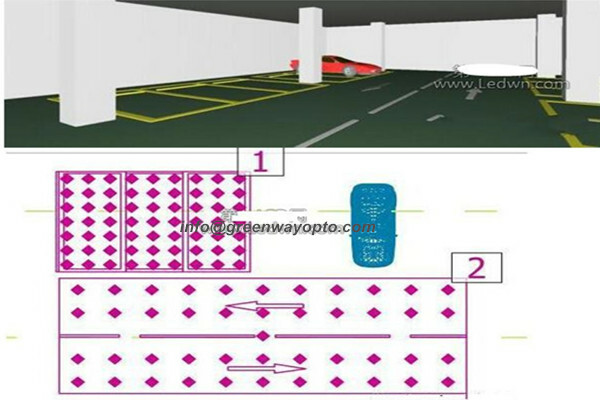 lamps and lanterns installation height of 3.2 m; Lane width 6.5 meters; Size 5 x 2.5 meters parking Spaces. 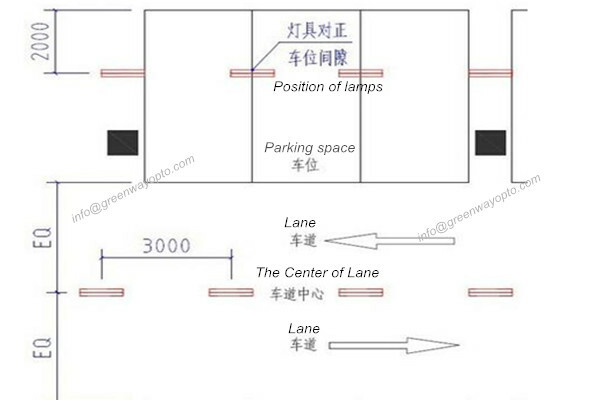 Lane central single row, the lamp is apart from the (-) in 2.8 ~ 3.0 m.
lamps and lanterns is according to the parking place, is the gap of every two cars. For easy to remember and use, we recommend the completely same layout method and the choice of lamps and lanterns (T8 LED bulb with control cover). Change is according to different standards, different wattage. Note: items should stipulate the whole light flux of the lamps and lanterns of lumen (lm), rather than regulation power of lamps and lanterns! The power of each manufacturer/lumen data there will be some difference. If the garage condition, the choice of lamps and lanterns, unlike the chestnuts, please adjust the spacing in proportion. 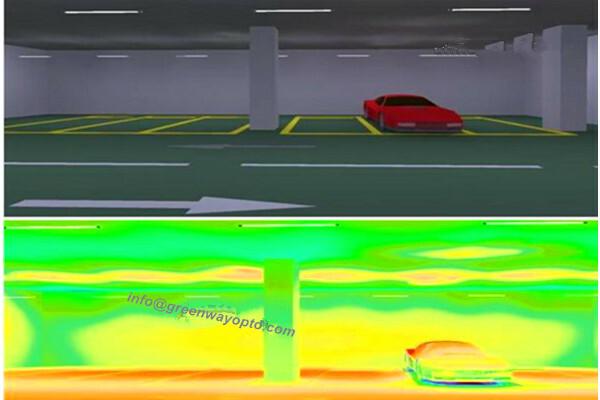 Public buildings: 50 lx garage ground illumination; Lighting power density value is 2.5 W/m or less current squared; The target of 2.0 W/m or less squared. However, some of the old computing tools, I’m afraid no new lamp for you? You still believe that some LED factory give you publicity “LED energy saving 80%”? Come on, we use the advanced and accurate DIALux evo, recommend you to calculate a rely on the experience of the spectrum, save money, and energy saving method. 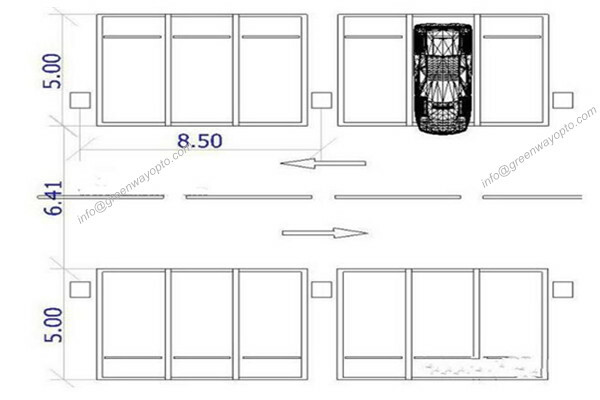 Pictured above, lane parking and setting calculation area respectively. How to arrangement of lamps and lanterns to both energy saving and conform to the national standard? 30 lx illuminance standard achieved national standard requirements. Lighting power density: 1.0 W/m squared; Better than the national standard regulations, the current value of 2.0 W/m squared; The target value of 1.8 W/m squared. Implements the national standard of 50 lx illuminance standard. Lighting power density: 1.3 W/m squared; Is better than the national standard regulations: the current value of 2.5 W/m squared; The target value of 2.0 W/m squared. Here’s the thing: we use the lamp? How to decorate? Good question! Now go back and read it again to the conclusion. However, if your garage complex like below… Hurry please lighting engineer help you solve. 1, do not choose the induction switch lamp, should choose induction “light”. Normal work 11 w, low power 2 w. In order to ensure the operation of the low power, all has the certain basic security lighting. 2, tube induction range. Only bright under the car came to light, it is too late ~ ~ remember: drive is to see the front!